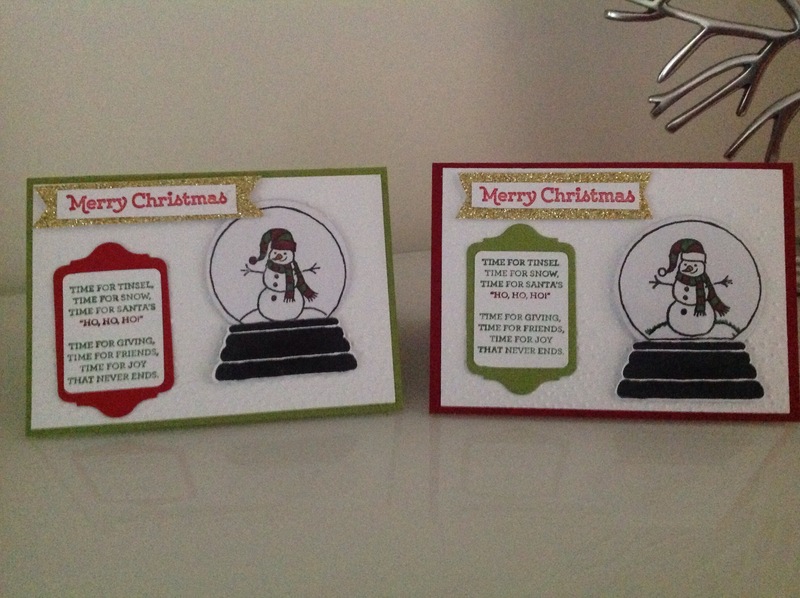 This months Stamp club was all about Christmas using some of the new products in the Stampin’ Up Holiday catalogue. We enjoyed making a card, having a chat and a glass of wine. It’s great if your looking for some me time. If you would like to join us for next months Stamp Club feel free to contact me.